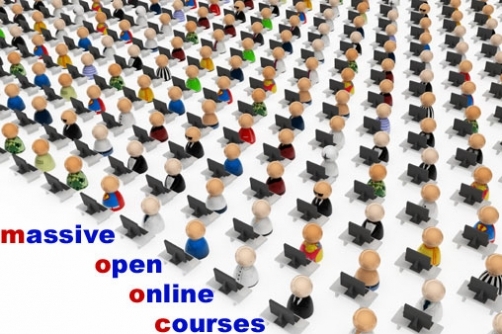 Massive Open Online Courses, or MOOCs, are all the rage today, thanks to technology and the desire of some people to share their knowledge via the Internet without charging students a fee. It has been said more than once that learning happens a lot outside the classroom, but we cannot ignore the fact that there is also a lot to be learned in a classroom setting. Admittedly, MOOCs are not exactly your traditional classroom setting. Still, it has enough elements of the traditional learning experience blended with alternative learning that people who enrol in these programs receive a lot of benefits. There are some names which have become the go-to resource for MOOCs, but in case you want to know more, there are actually more than a handful of choices. Here are the top MOOCs that can help you learn more, even though you may be out of school. Coursera might very well be labeled the buzzword of the top MOOCs today. There are almost 3 million Courserans to date, with hundreds of free courses going on at any given time. The good thing about Coursera is that they incorporate some programs offered by other educational institutions, making it sort of a one-stop shop for those who want to learn online for free. Udemy may be a lesser known name, but it still deserves to be considered one of the top MOOCs today. The unique selling point of Udemy is that they reach out directly to experts in various industries and encourage them to share their knowledge to the rest of the world. From New York Times best-selling authors to CEOs to celebrities to Ivy League professors – you can expect your course instructor to be part of these honored ranks. Apple users probably have tried iTunes U at least once. You obviously need the app for your iPad, which is free, to access lessons and materials. There may not be as many offerings as the other bigger platforms, but the interface is certainly appealing. If you’ve always wanted to go to Stanford, you can still live the dream to a certain extent with their free course offerings. They have a limited number of courses each term, and you can access these via other platforms such as Coursera and iTunes U. You can access all the available free courses from UC Berkeley via webcast.berkeley, with online video and audio available. Some of their courses are also available via other platforms. edX features courses from various universities, including some mentioned above and the Harvard Extension School.